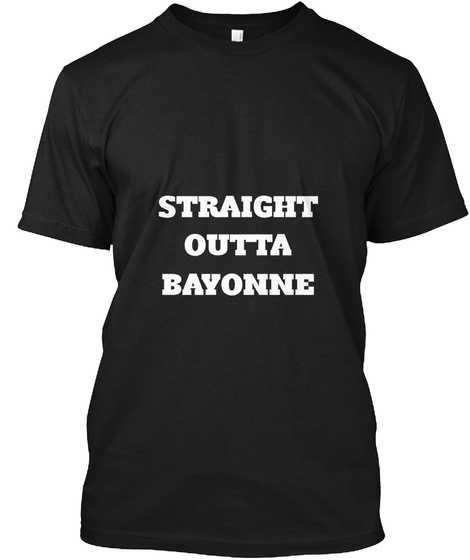 Up to size 5x and in many colors, shirts "STRAIGHT OUTTA BAYONNE" on front of these tee shirts. Wear with pride, send to all ~ around the world as gifts ~ just click on link ~ we mail it to any address in the world! GRAB for person who has everything. Don't Delay! * Limited-Edition-Design * Not sold in any store * u can't go wrong with this tee shirt * Quantities-Limited & available for Limited-Time * USA screen printed high quality 100% cotton. Click on shirt to order any color or any size to be mailed anywhere in the world!